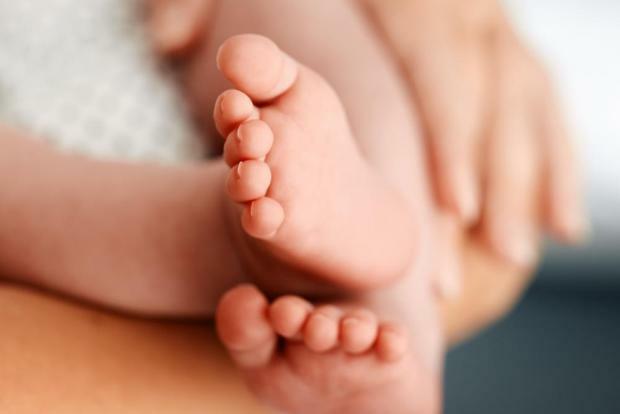 The 22-year-old mother of a baby found abandoned in Buġibba on Friday just hours after he was born has been identified and reunited with her son at Mater Dei Hospital. Sources said the Maltese mother was “in tears” when she got a glimpse of the baby she had abandoned on a porch just 36 hours before. “The baby seemed to have felt the mother’s embrace, as the reaction was different to the one he had when nurses picked him up,” one source said. The baby boy – who inquiring Magistrate Joe Mifsud has named Cristiano after international football sensation Cristiano Ronaldo – is under a care order and will eventually be taken to an Ursuline Sisters’ crèche. Sources said the mother liked the name. The new born was found abandoned on Pioneer Street at around 4pm on Friday on the porch of a block of apartments there. The infant, who was discovered by residents of the block with parts of the umbilical cord still attached to him, is a healthy baby, despite not being born in hospital. Sources said the mother was found in Qawra, close to the place where the baby was abandoned. She cooperated with the police and immediately admitted that she was the mother. She was accompanied to Mater Dei Hospital to see her baby once again. While she was there, she was examined and given treatment she required after giving birth without assistance. The sources said investigators managed to locate the mother in collaboration with Child Protection Services, who began looking into cases of people who could have been on the department’s radar and who lived in the area. This method led investigators to an address where they found the woman, who offered no resistance. Child Protection Services manager Steve Libreri was appointed as a court expert to assist with the case. Sources said the woman still needs to speak to investigators officially and this is expected to be done in the coming days. It was the people who live in the area that found the baby and immediately called the police for assistance. Initial investigations suggest that the baby was born at around noon on Friday and while investigators are not yet sure where the birth might have taken place, a delivery at the spot where the young boy was found has so far been ruled out.